‘Steve Jobs: A Biography’ by Walter Isaacson set for release on Nov. 21, 2011 or Mar. 6, 2012? 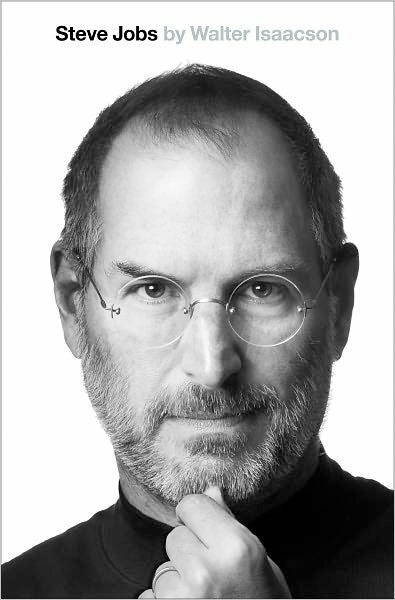 Steve Jobs: A Biography by Walter Isaacson is set for publication on November 21, 2011, Barnes & Noble’s website states. The book will be 448 pages. From the author of the bestselling biographies of Benjamin Franklin and Albert Einstein, this is the exclusive biography of Steve Jobs, written with his full cooperation. Based on more than forty interviews with Jobs conducted over two years as well as interviews with more than a hundred family members, friends, adversaries, competitors, and colleagues this book chronicles the rollercoaster life and searingly intense personality of a creative entrepreneur whose passion for perfection and ferocious drive revolutionized six industries: personal computers, animated movies, music, phones, tablet computing, and digital publishing. It is also a book about innovation. At a time when America is seeking ways to sustain its innovative edge, and when societies around the world are trying to build digital-age economies, Jobs stands as the ultimate icon of inventiveness and applied imagination. He knew that the best way to create value in the 21st century was to connect creativity with technology, so he built a company where leaps of the imagination were combined with remarkable feats of engineering. Jobs speaks candidly, sometimes brutally so, about the people he worked with and competed against. Likewise, his friends, foes, and colleagues provide an unvarnished view of the passions, perfectionism, obsessions, artistry, devilry, and compulsion for control that shaped his approach to business and the innovative products that resulted. He was not a model boss or human being, tidily packaged for emulation. Driven by demons, he could drive those around him to fury and despair. But his personality and products were interrelated, just as Apple’s hardware and software tended to be, as if part of an integrated system. His tale is thus both instructive and cautionary, filled with lessons about innovation, character, leadership, and values. MacDailyNews Note: According to Apple’s iBookstore, Steve Jobs: A Biography has an “expected release” date of “March 6, 2012. More info and pre-order link (U.S.16.99) here: Steve Jobs – Walter Isaacson. looking forward to read it…!!! 448 pages, feels a bit light for such an accomplished life. Maybe the book focusses more on his life than his oeuvre, somehow separating the two. The timing will be most interesting. May be the last book I buy in hardback! This is one book that will take pride of place on my ‘must read’ bookshelf. Here’s to a Jobs well done! Uh hah hah hah hah…..
BTW, when are you having Al back over for a talk? I’m sure this will be a featured item in the iBooks store, right? Pre-ordered. My iPad 2 ready and waiting to get it! MDN, it now shows 11/21/2011 on iBookstore. Other Bios by Walter Isaacson: Benjamin Franklin, Albert Einstein, Henry Kissenger.